Online Drummer: You can never give up. You've got to try hard and you've got to always keep on pushing yourself. That's one of the things I love about drums. Whenever I set my mind to something, I stick on it until I think I've completed it or conquered it. With drums, it's like you've never learned enough. There's always something. Just when I think, “I've got that figured out” there's something out there that I'm looking to do. You've got to keep your mind open to new things and listening to different types of music. If you get stuck into one type of drumming, you get boxed in. And other than that, click track... That changed my world. I was a really sloppy drummer, and I went into the studio and they started cracking the whip. I finally became comfortable with the click track, and then once I felt comfortable with it, it just opened up the way I play. It made me play with more confidence knowing that I can hear that beat (Chris Vest - Exclusive OnlineDrummer.com Interview). 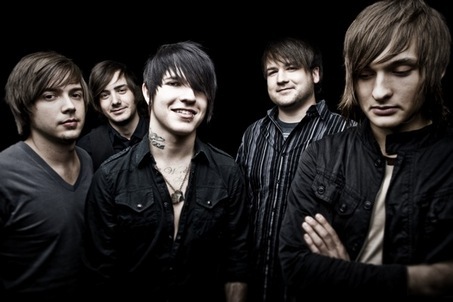 Framing Hanley is a rock band from Nashville, Tennessee, USA formed in 2005. They released their first studio album in August 2007 entitled "The Moment". They are best known for their song "Hear Me Now" and their cover of "Lollipop", originally by Lil Wayne. They also have a reasonably new album out called "A Promise To Burn". Lead singer Kenneth Nixon has gone on record as saying that he doesn't dislike Parabelle anymore and they can be bestest friends again (Wikipedia).